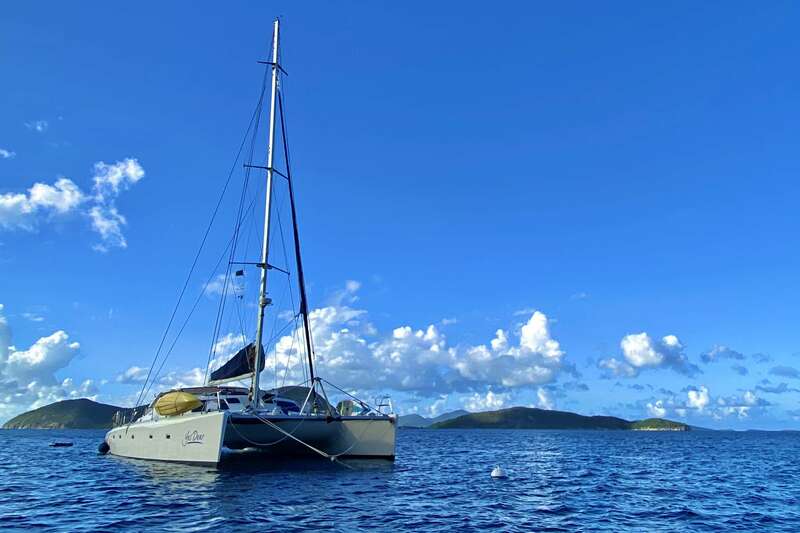 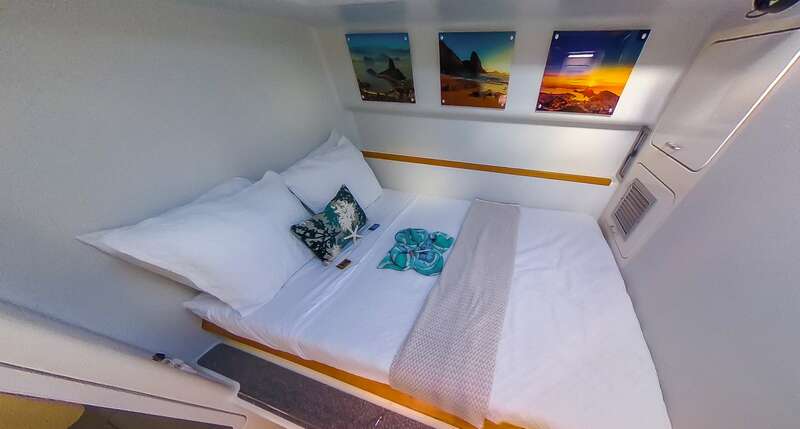 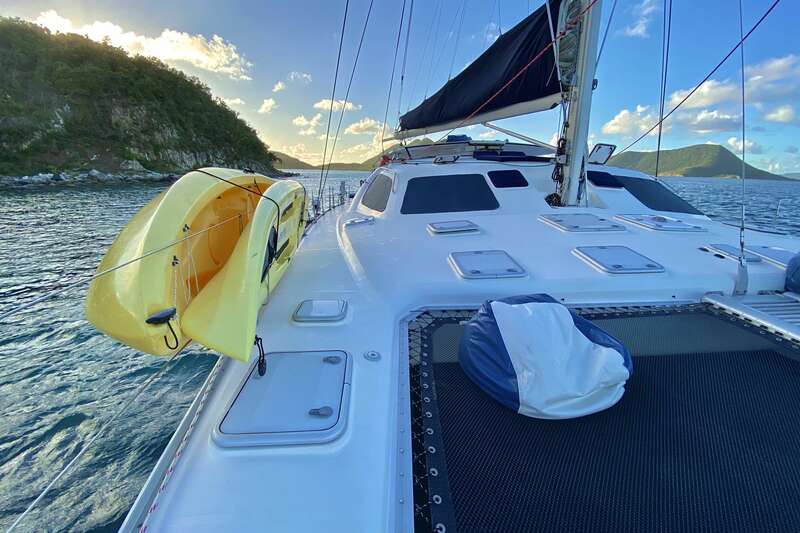 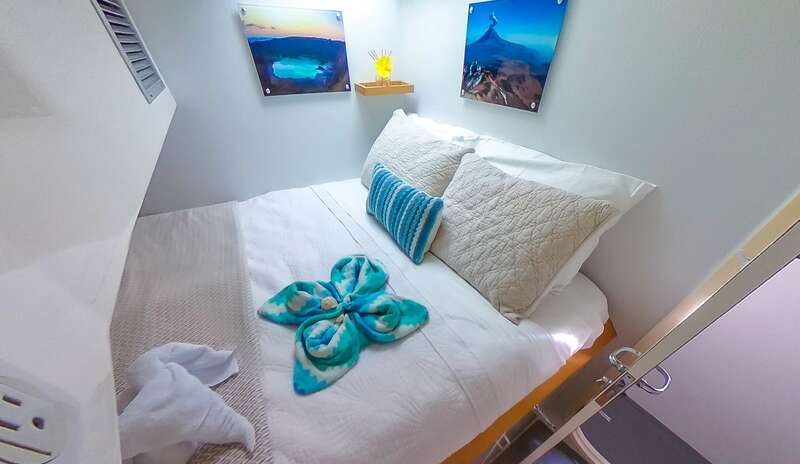 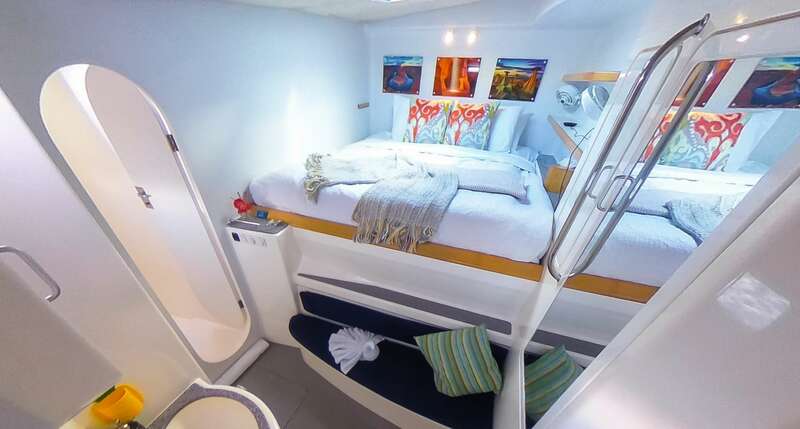 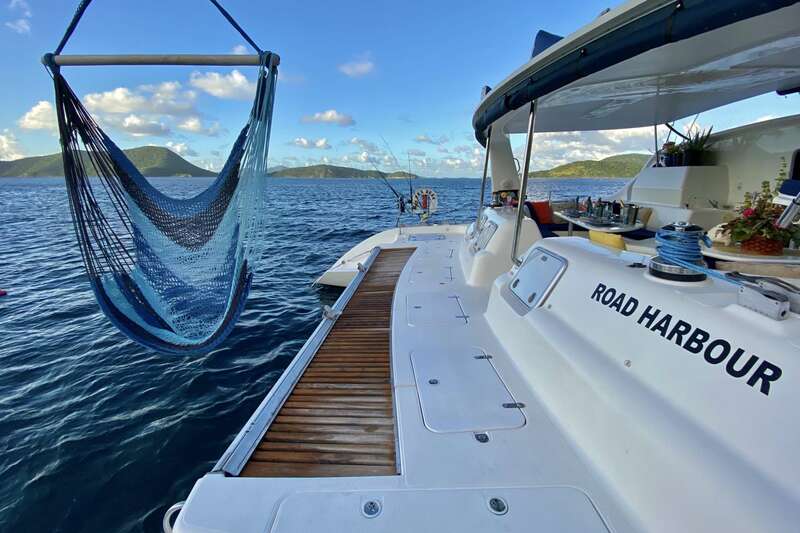 58ft catamaran with 5 guest cabins, each with ensuite private head with vanity, electric head and shower). 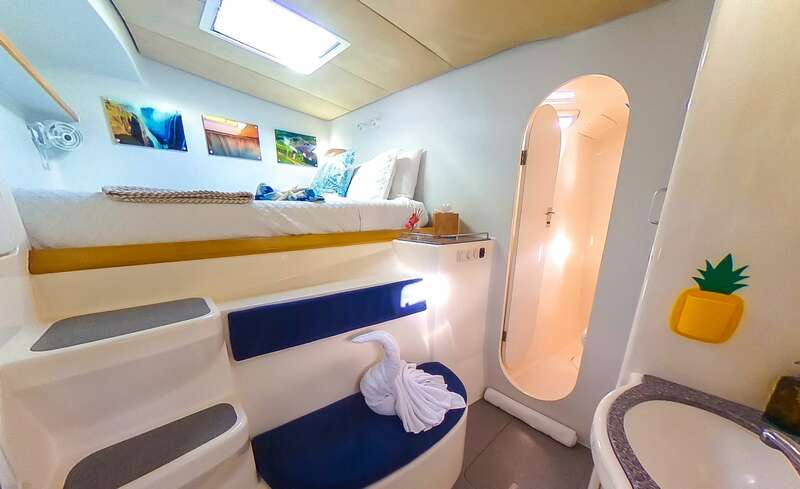 Crew have separate cabin with private head. 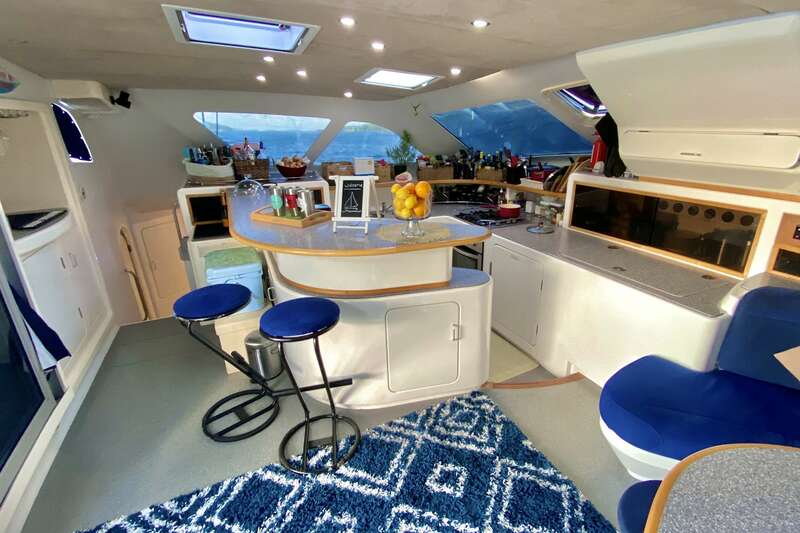 Large foredeck with plenty of lounge area. 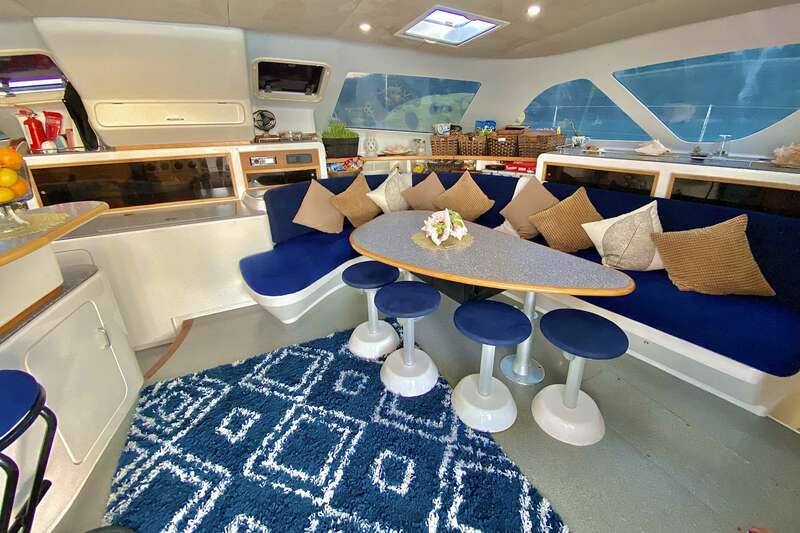 Huge cockpit for dining and lounging.